There’s nothing new about construction loans, but there is a new way of doing them. A construction loan is typically comprised of two parts: the construction phase loan and the construction-to-permanent loan. During the construction phase, the buyer is paying interim interest on that loan until the home is completed. What’s emerging is a product known as the single close construction loan, which few lenders offer. GSF Mortgage Corporation, based in Wisconsin, is one of those lenders. The single close construction loan offers just one loan, and the interest is deferred until the home is completed. It’s one change that could make a difference for thousands of people looking to get into the market, for a couple of reasons as indicated by Chad Jampedro, president of GSF. “Typically it’s going to be a lot less closing costs because you’re not paying closing costs on two loans, you’re only paying it on one. You’re not paying the interest payments during a period of time where you’re carrying another housing debt. 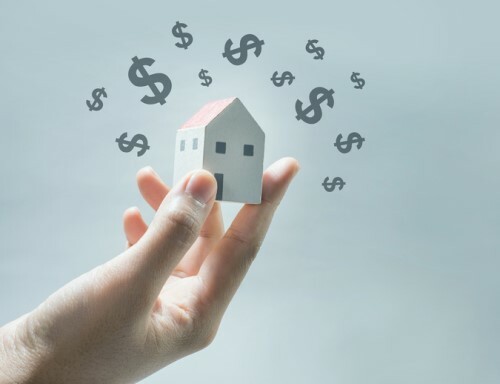 You may be selling your home or renting and then you’re paying interest on the home that’s being built,” which could result in very cash-strapped borrowers. With most construction loans, the expectation of down payments is anywhere between 10-20%. Between the high down payment and the additional housing costs in interest while their home is being built, a lot of first-time home buyers are eliminated from the buying pool. The single close construction loan eliminates those factors. It’s typically paired with an FHA, a VA or a USDA product, which has low down payment options. Jampedro says that the demand has really increased from both buyers and builders. To this end, GFS is considering some strategic partnerships that will allow other lenders to take advantage. And although the demand for construction loans in general is on the rise, Jampedro says that it’s still an underutilized product even though it’s a win-win proposition that’s beneficial for builders as well as buyers. GSF provides the single close construction product in-house, and although it’s a very “process-intensive” loan that scares a lot of lenders, the single close element is a vast improvement on the way construction loans used to be handled.